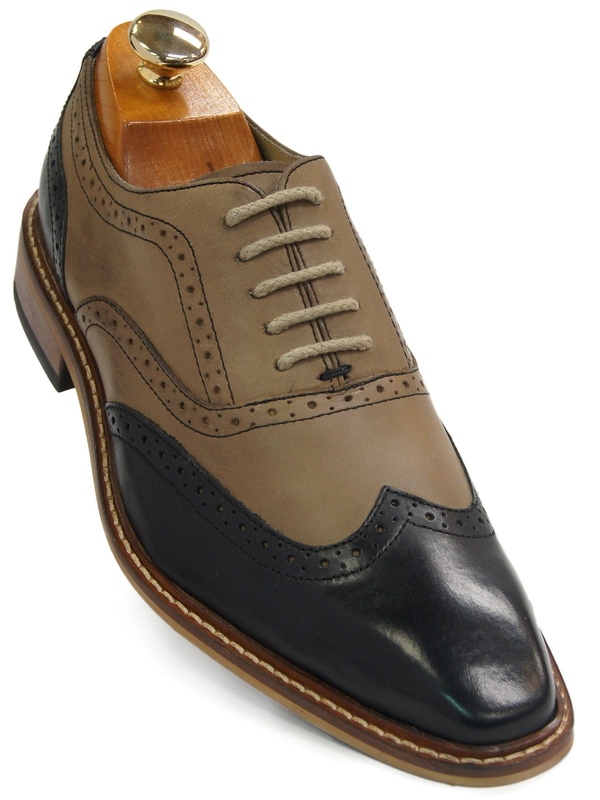 Giorgio Brutini Mens Leather Two-Tone Tan Black Wing Tip Business Oxford Shoe! The classic wingtip gets a update! Contrast Leather upper with burnished leather for that vintage ole school look. Dress it up with a suit or wear it casually with some Khakhi's or your favorite Jeans. 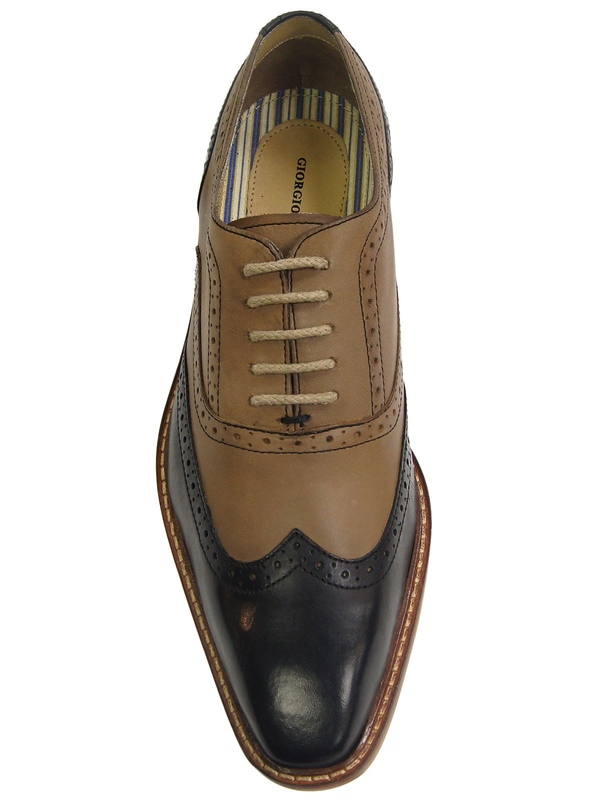 Step out in Style with this wing tip oxford!